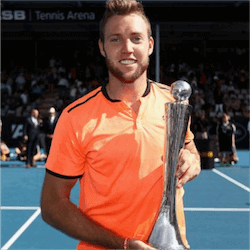 Jack Sock has officially been crowned the ASB Classic tennis champion after beating Joao Sousa in a nail-biting final on Saturday Afternoon. Considered to be one of the best finals in over a decade, the match will go down in history as one of the few highlights of the entire tournament. One year after being forced to retire from the 2016 final, Sock prevailed to claim the title, a deserved winner. Showing off his powerful baseline forehand and tactical approach, Sock overpowered a determined Sousa, who took the match right to the edge. As soon as the match got underway, it was clearly evident that the two best performers had advanced to the final. The dynamic Sousa had not dropped a set the entire tournament, battling past the likes of Jeremy Chardy and Ryan Harrison. In the semi-final, Sousa came into his own, showing off his talents as he dispatched Marcos Baghdatis. 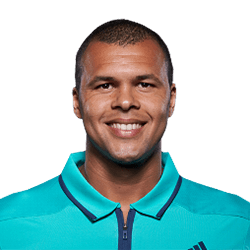 In the final, it was Sock who drew first blood, converting his second break point in the seventh game of the first set. Sock continued to apply pressure on Sousa’s serve with some heavy returns resulting in him serving for the set after just 34 minutes. 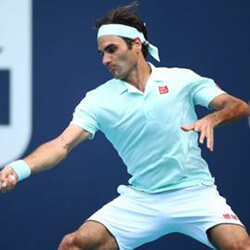 In the second set, the intensity of the match doubled. Both players traded breaks with Sousa getting more of a foothold as the set progressed. Sousa showed true resilience when at 5-5, and 30 love down, the Portuguese held his nerve, taking the match away from Sock. Sousa then broke the American’s serve, winning the next game and took the match to a third set thanks to a powerful forehand shot. 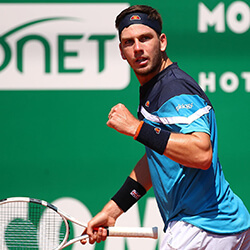 In the third set, the Sousa had the upper hand and the crowed behind him. He took advantage of the momentum early on. Taking an early break in the third game, Sousa capitalised on a tiring Sock who was feeling the effects of the heat. But the American quickly rallied, breaking back in the very next game to level things out once again. 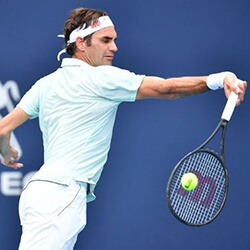 In the eighth game of the third set, Sousa lost his concentration and conceded two unforced errors including a pivotal double fault on break point. Sock took advantage of the wobble, breaking Sousa and serving out the match to seal the win in just under two hours.